Building the operational foundations of DFS can be prohibitively expensive. One of the challenges to growth in digital finance has been underinvestment due to a combination of stringent regulatory environments, internal constraints faced by service providers such as the high commercial and operational costs of establishing digital financial services (DFS), and the lack of diverse financing options in emerging markets. Investment plays a key role in extending digital finance to hard-to-reach customers and encourages disruptive, innovative solutions. This Snapshot will focus on how investment can foster the development of digital finance ecosystems, the challenges the industry faces in raising the necessary investment, and the roles of different types of investors. Because investment, whether external or internal, has been a challenge, digital payments players have prioritized services that appeal to the majority of customers (such as person-to-person transfers), rather than “niche solutions” which could increase the number of transactions per customer (i.e., by driving more regular use of digital financial services). 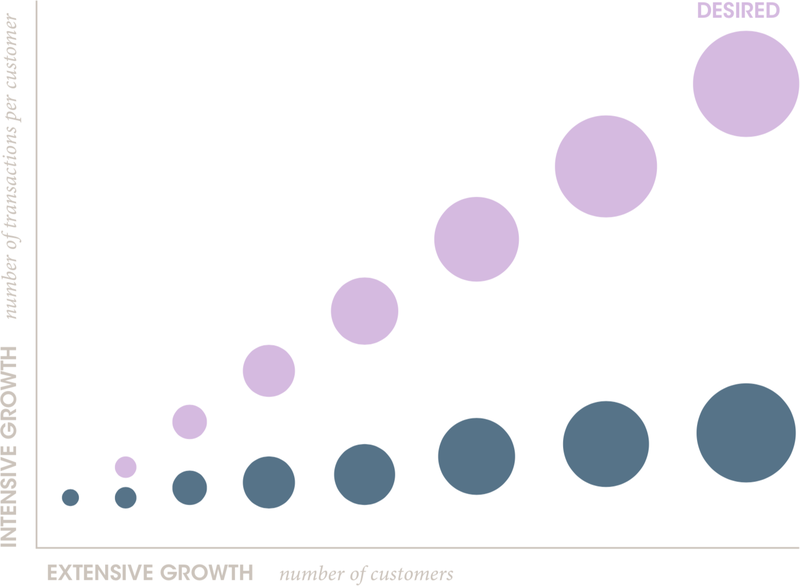 As a result, the industry has focused on extensive growth—the number of customers, rather than intensive growth—number of transactions (figure 1). 5 While there are digital players keen to support these niche markets (sophisticated DFS products), such as active aggregators in Uganda6 and pilot projects taking place through FIBR in Tanzania and Ghana,7 a lack of funding and technical infrastructure is holding back growth. While the lack of external investment persists, most of the focus around capital markets has been on internal underinvestment. A contributing factor is that the digital finance landscape has centered mostly on mobile money and branchless banking services that are run by large, well-capitalized players—such as mobile network operators (MNOs) and banks. At the same time, due to the high commercial and operational costs of mobile money or branchless banking solutions, providers are reluctant to invest adequately in their early years of operation.8 Therefore, MNOs and banks do not raise funds with VCs exclusively for their digital financial services. Until now, much of the investment challenge was an internal advocacy challenge to encourage C-level sponsors to allocate investment to a new business line. This is particularly challenging in multi-national businesses whose equity and debt investors have a significantly different risk profile than venture-capital investors. 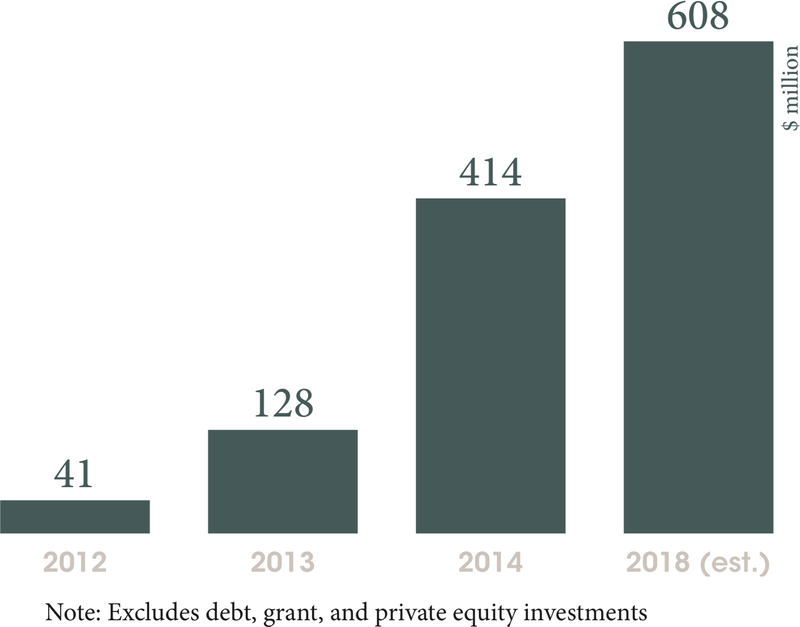 However, as more FinTech entrepreneurs enter payments and digital finance in emerging markets, new investment capital has followed supporting both infrastructure development and accessing hard to reach populations, albeit slowly. Similarly, macro dynamics are at play because the lower penetration of smartphones restricts access to consumer data, especially for low-income consumers, and often requires start-ups to be heavily dependent on mobile money providers or banks.13 Moreover, low-income consumers typically do not have a digital store of value besides those offered by mobile money providers (rarely available through APIs). Some of the aforementioned limitations are perhaps contributing to the fact that not that many investors are contributing capital behind FinTech initiatives. 14 The inability of promising FinTechs to attract venture capital funding has limited the innovation potential of the digital finance ecosystem. While VC capital is synonymous with tech and FinTech investment, it is not the only pool of funding that digital finance players could or should be relying on. Debt, in the form of unsecured bank lending, convertible notes, or microloans, could also help address some of the challenges faced across the tech and digital finance sector. However, debt funding has been no easier to source. The lack of debt capital financing is not unique to tech and FinTech players; it is endemic to the entire MSME sector. Globally, the MSME finance gaps total between $ 2.1 and $ 2.6 trillion according to IFC estimates.15 “Banks are often reluctant to serve MSMEs, given the small loan size and high costs typical of this segment. For other lenders such as microfinance institutions (MFIs), the capacity required to serve MSMEs, particularly assessing business models and risks, remains a major challenge.”16 Moreover, given that funding is disbursed in foreign currency (typically USD), borrowers are exposed to exchange rate changes and must absorb forex risks on their deals. Therefore, local currency denominated debt may be a more attractive option for some digital finance players. PAYGO energy companies provide a more specific example that impacts the development of a growing energy sector. PAYGO energy companies are restricted in their scale and diversification by lack of access to commercial debt financing—local financial institutions are unwilling to finance the debt due to the insecure nature of the loans in PAYGO portfolios.17 Lendable, a platform that helps alternative lenders access structured financing to scale their operations, offers lenders the chance to set a foreign currency depreciation buffer to absorb forex risks on each deal before that risk affects the repayment of foreign debt financing. Additionally, Lendable offers benefits such as flexible pricing terms for lenders and strong predictive capabilities based on the likelihood of repayment of individual receivables18 that help both potential lenders and investors scale up digital finance operations. However, financial services are rarely “whiz-bang;” they are, and should be, risk-based services. “Banks are necessarily incrementalist institutions. And ‘disruption’ in incremental institutions is nothing more than a representation of risk.”22 As VCs and young start-ups chase significant growth, it is critical that investment harnesses responsible growth. For example, the pursuit of growth in P2P lending in China resulted in fraudulent and reckless implementations in 2015. Many businesses became no more than Ponzi schemes, one of the worst of which resulted in losses of $7.6 billion.23 In part this was due to a lack of adequate regulatory oversight, but it also demonstrates how quickly an exciting market can implode through its own irresponsibility. Looking ahead to a changing landscape, it is important to unlock much needed investment to support the development of the digital finance ecosystem. However, as the digital finance ecosystem develops it must incorporate responsible financing principles. Part of the approach to responsible financing must be to address the issue of customers’ risks to strengthen the foundation of digital finance. When mass market customers trust services, they respond by using them on a regular basis. However, even traditional MNOs have had the opportunity to experiment with better design because of the increases penetration of smartphones. While they initially tended to dump a USSD-style menu into a smartphone, providers—with the support of partners and designers—are changing the way they engage with customers. Wave Money in Myanmar, with the help of CGAP, has not only implemented but published their insights on designing for smartphones.29 This kind of smartphone innovation will feed greater innovation that, hopefully, will feed greater investment in digital finance. While still in early stages, these new entrants could catalyze new investor appetite to support digital finance innovation. A market systems approach does not preclude investment in an individual FSP. Instead, a market systems approach contextualizes an individual investment in the broader dynamic of the digital finance ecosystem. According to CGAP’s research, funders of financial inclusion who apply a market systems approach invest in market development using the following considerations: facilitating interventions that change the incentives of the market system, taking the whole market (rather than just the supply side) into account, and focusing on crowding-in market actors through transparent and well-structured incentives to ensure a flexible approach that can respond to changes in the market dynamic. As noted above, the investment gap is beginning to narrow as more investors express interest and enthusiasm in the FinTech opportunities in emerging markets. Accelerators—fixed-term, cohort-based, mentor-driven programs to support early stage start-ups—have gained traction in recent years. Significantly, accelerators do not simply provide financial capital, they help to establish the operational foundation and sustainable growth of businesses. Because the start-up ecosystem in emerging markets is still nascent, accelerators in emerging marks are likewise nascent, relative to those in more advanced markets. However, there is an opportunity to apply lessons from successful accelerators in order to increase the likelihood of support for FinTech innovators in these emerging markets. There is increasing data to suggest that emerging market start-ups are as credentialed and committed as their developed market counterparts, however, they function in ecosystems that are less networked, less funded, and generally less supported.42 It would be prudent for the digital finance community to address the barriers that stand in the way of innovation and development. As highlighted in this Snapshot these barriers are: the required technical infrastructure to proliferate innovation; the lack of diverse investors in the digital finance landscape; philanthropic investment that goes beyond capital; and an in-depth understanding on the part of investors of the macro-dynamics (including regulation) at play in each of their local markets. The 2016 VC Fintech Investment Landscape. February 2017. Kazeem, Yomi. African Start-Ups Are Securing More Investment—but There’s Still Room for Growth. Quartz, May 2016. Burjorjee, Deena M., and Barbara Scola. A Market Systems Approach to Financial Inclusion: Guideline for Funders. CGAP, September 1, 2015. Moretto, Louise, and Barbara Scola. Development Finance Institutions and Financial Inclusion: From Institution-Building to Market Development. CGAP, March 2017. Roberts, Peter W, Genevieve Edens, Abigayle Davidson, Edward Thomas, Cindy Chao, Kerri Heidkamp, and Jo-Hannah Yeo. Accelerating Start-Ups in Emerging Markets: Insights from 43 Programs. The Global Accelerator Learning Initiative, May 2017. Accion Venture Lab. Bridging the Small Business Credit Gap through Innovative Lending. Accion, November 2016. Almazán, Mireya, and Nicolas Vonthron. Mobile Money Profitability: A Digital Ecosystem to Drive Healthy Margins. GSMA, November 14. FIBR The Environment for ‘FIBR FinTech’ in Ghana. FIBR, July 2016. Morawczynski, Olga, Michel Hanouch, Lesley-Ann Vaughan, and Xavier Faz. Digital Rails: How Providers Can Unlock Innovation in DFS Ecosystems Through Open APIs. CGAP, November 2016. Accion Venture Lab. “Bridging the Small Business Credit Gap through Innovative Lending.” Accion, November 2016. https://www.accion.org/sites/default/files/Bridging%20the%20Small%20Business%20Credit%20Gap%20Through%20Innovative%20Lending%20by%20Accion%20Venture%20Lab.pdf?_ga=1.159619710.2135856374.1480944912. Beeson, Will. 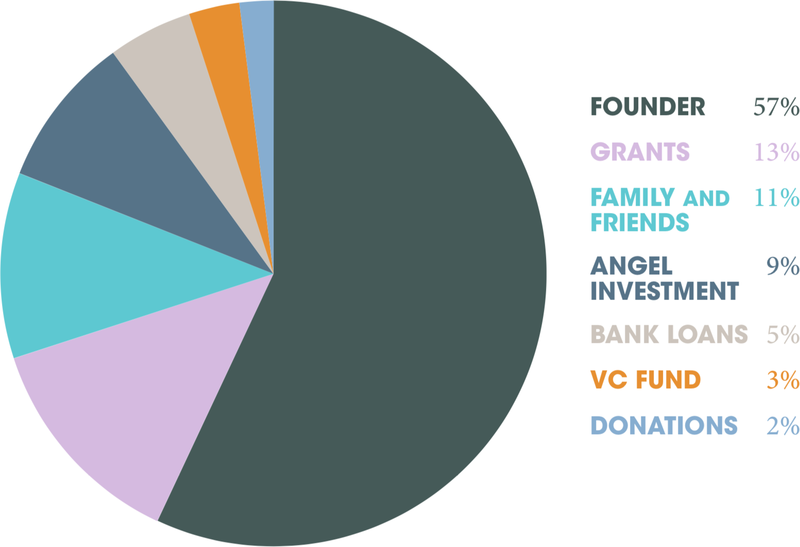 The Omidyar Network on Fintech, Financial Inclusion and Social Impact. Rebank: Banking for the Future. Accessed May 21, 2017. https://bankingthefuture.com/omidyar-network-fintech-financial-inclusion-social-impact/. Bright, Jake, and Aubrey Hruby. “The Rise Of Silicon Savannah And Africa’s Tech Movement,” n.d. https://techcrunch.com/2015/07/23/the-rise-of-silicon-savannah-and-africas-tech-movement/. Burjorjee, Deena M., and Barbara Scola. “A Market Systems Approach to Financial Inclusion: Guidelines for Funders.” CGAP, September 1, 2015. http://www.cgap.org/sites/default/files/Consensus-Guidelines-A-Market-Systems-Approach-to%20Financial-Inclusion-Sept-2015_0.pdf. Carter, Clint. “For Entrepreneurs, Venture Capital Is Not Always the Best Option.” Entrepreneur (blog), June 2017. https://www-entrepreneur-com.cdn.ampproject.org/c/s/www.entrepreneur.com/amphtml/294554. CGAP. “Partner with CGAP to Open APIs,” May 2017. http://www.cgap.org/news/partner-cgap-open-apis. Dahir, Abdi Latif. “The Number of Tech Hubs across Africa Has More than Doubled in Less than a Year.” Quarz (blog), August 17, 2016. https://qz.com/759666/the-number-of-tech-hubs-across-africa-has-more-than-doubled-in-less-than-a-year/. Darkwa, David, and Rashmi Pillai. “Lessons from Aggregator-Enabled Digital Payments in Uganda.” CGAP (blog), February 2016. http://www.cgap.org/blog/lessons-aggregator-enabled-digital-payments-uganda. DeRose, Chris. “The Trouble with Fintech (or Why ‘Now’ Is the Time for DLT).” Coin Desk (blog), May 3, 2017. http://www.coindesk.com/the-trouble-with-fintech-and-why-now-is-the-time-for-dlt/. FIBR. “Alternative Lending: Landscaping the Funding Models for Lending Fintech Companies,” n.d.
———. “Lendable: Case Study of a Marketplace Lending Platform in East Africa,” 2017. https://static1.squarespace.com/static/5682a94969a91ad70f60a07c/t/5968c0cdf7e0abc8788d42c8/1500037330470/FIBR+Briefing+note+4+Lendable+FINAL+July+2017.pdf. ———. “Paygo Solar: Lighting the Way for Flexible Financing and Services,” 2017. https://static1.squarespace.com/static/5682a94969a91ad70f60a07c/t/5968d184e45a7c330fcea1ec/1500041609397/FINAL+FIBR+Briefing+note+PAYGo+Solar+July+2017.pdf%0A. ———. “The Lean Product Waltz: Data-Driven User Research & Research-Driven Data Analysis,” n.d. NA. Gilman, Lara, and Gunnar Camner. “Beyond the Technical Solution: Considerations for Sharing APIs with 3rd Parties.” GSMA (blog), May 29, 2014. http://www.gsma.com/mobilefordevelopment/programme/mobile-money/beyond-the-technical-solution-considerations-for-sharing-apis-with-3rd-parties. GSMA. “The Mobile Economy 2016.” GSMA, March 21, 2016. https://www.gsmaintelligence.com/research/?file=97928efe09cdba2864cdcf1ad1a2f58c&download. Hathaway, Ian. “Accelerating Growth: Startup Accelerator Programs in the United States.” Brookings, February 2016. https://www.brookings.edu/research/accelerating-growth-startup-accelerator-programs-in-the-united-states/. Johnstone, Zach. “Financing the Sustainable Development Goals.” Global Innovation Fund (blog), May 12, 2017. https://globalinnovation.fund/financing-the-sustainable-development-goals/. Jones, Brad. “Wave Money Myanmar: The Power of Smartphone Design.” CGAP (blog), October 2016. http://www.cgap.org/blog/wave-money-myanmar-power-smartphone-design. Kazeem, Yomi. “African Start-Ups Are Securing More Investment—but There’s Still Room for Growth.” Quartz (blog), May 2016. https://qz.com/691106/african-start-ups-are-securing-more-investment-but-theres-still-room-for-growth/. McKay, Claudia, and Rafe Mazer. “10 Myths About M-PESA: 2014 Update.” CGAP (blog), October 2014. http://www.cgap.org/blog/10-myths-about-m-pesa-2014-update. Miller, Matthew, and Shu Zhang. “China’s $7.6 Billion Ponzi Scam Highlights Growing Online Risks.” Reuters, February 2016. http://uk.reuters.com/article/us-china-fraud/chinas-7-6-billion-ponzi-scam-highlights-growing-online-risks-idUKKCN0VB2O1. “Monopoly Situation Prevails in MFS Market: BB Official.” NewAge, February 2017. http://www.newagebd.net/print/article/8757. Nyambura-Mwaura, Helen. “Inventors Struggle to Protect Patents in Africa.” Reuters, July 2014. http://www.reuters.com/article/us-africa-investment/inventors-struggle-to-protect-patents-in-africa-idUSKBN0FM0HQ20140717. Roberts, Peter W, Genevieve Edens, Abigayle Davidson, Edward Thomas, Cindy Chao, Kerri Heidkamp, and Jo-Hannah Yeo. “Accelerating Start-Ups in Emerging Markets: Insights from 43 Programs.” The Global Accelerator Learning Initiative, May 2017. Schwaab, Dr. Jan, and Sabine Olthof. “Technology Hubs: Creating Space for Change: Africa’s Technology Innovation Hubs,” 2013. http://10innovations.alumniportal.com/fileadmin/10innovations/dokumente/GIZ_10innovations_Technology-Hubs_Brochure.pdf. Sur, David del. “How Does the Inclusive Fintech Landscape Compare to Mainstream Fintech?” FIBR (blog), June 2016. https://blog.fibrproject.org/how-does-the-inclusive-fintech-landscape-compare-to-mainstream-fintech-d08ce4e5c721. “The 2016 VC Fintech Investment Landscape.” February 2017. https://www.slideshare.net/innovatefinance/the-2016-vc-fintech-investment-landscape-71849828/1. “UFA 2020 Overview: Universal Financial Access by 2020.” The World Bank (blog), April 20, 2017. http://www.worldbank.org/en/topic/financialinclusion/brief/achieving-universal-financial-access-by-2020?CID=FAM_TT_FinanceMarkets_EN_EXT. “WhatsApp All Set to Launch P2P Payment Services in India?” Economic Times India, April 7, 2017. http://economictimes.indiatimes.com/small-biz/money/whatsapp-all-set-to-launch-p2p-payment-services-in-india/articleshow/58002902.cms. Lara Gilman wrote this Snapshot, with further inputs from David Edelstein and Maha Khan. This Snapshot was supported by the Mastercard Foundation. Partnership for Finance in a Digital Africa, “Snapshot 11: What ecosystem improvements will unlock investment in digital finance?” Farnham, Surrey, United Kingdom: Caribou Digital Publishing, 2017. https://www.financedigitalafrica.org/snapshots/11/2017/.